I had a great day at the Jacksonville Zoo yesterday with my wife and two of my grandaughters. This wood stork is part of a resident colony that lives on the zoo grounds by choice. They have a good sized nesting colony and there were a number of active nests. I was really impressed with this zoo since I grew up in Jacksonville and it once was one of those horrible places with lots of animals in very small cages. There are still a couple of exhibits that I didn't care for, such as the bobcat and the Coopers Hawk, but overall it is a very animal friendly place. They have a series of ponds along the entrance drive that are also home to lots of wild birds. If you visit their web site you get some nice info about which wild birds have been sighted. 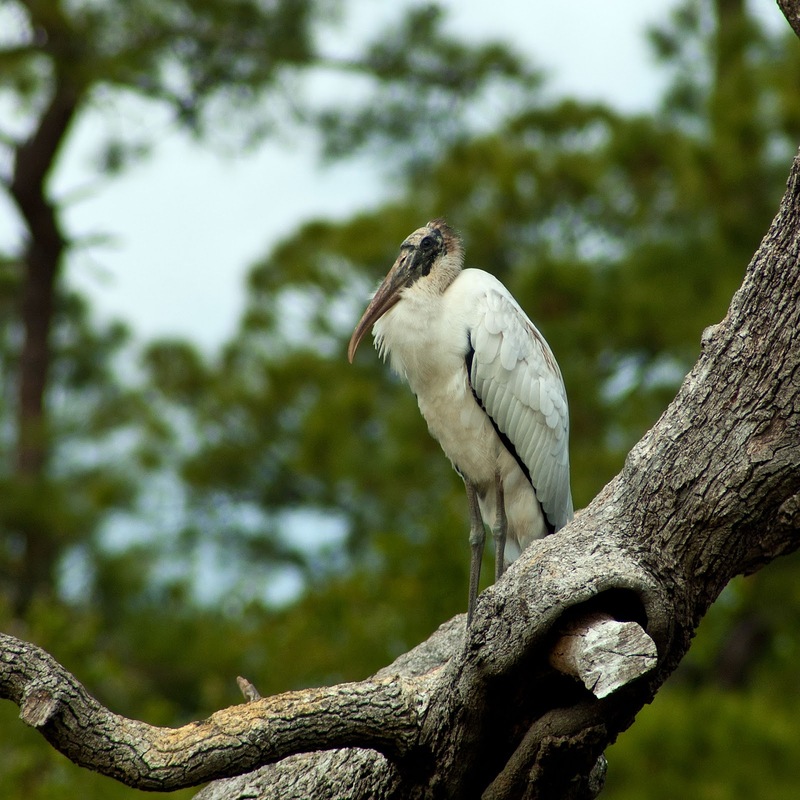 The wood stork was once known as the Wood Ibis but was reclassified some time back.